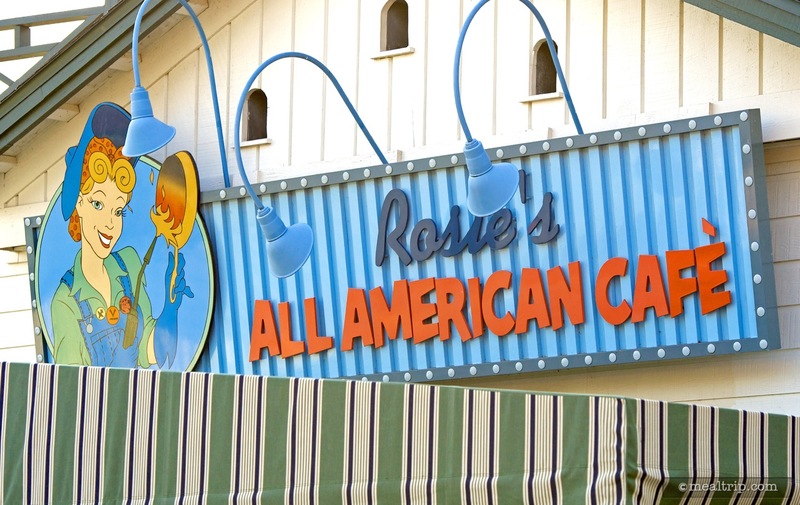 The Rosie's All-American Café listing is a Counter Service (quick service) dining location at Hollywood Studios featuring American cuisine. There are 9 photos in the Mealtrip photo gallery for this location and dining period. 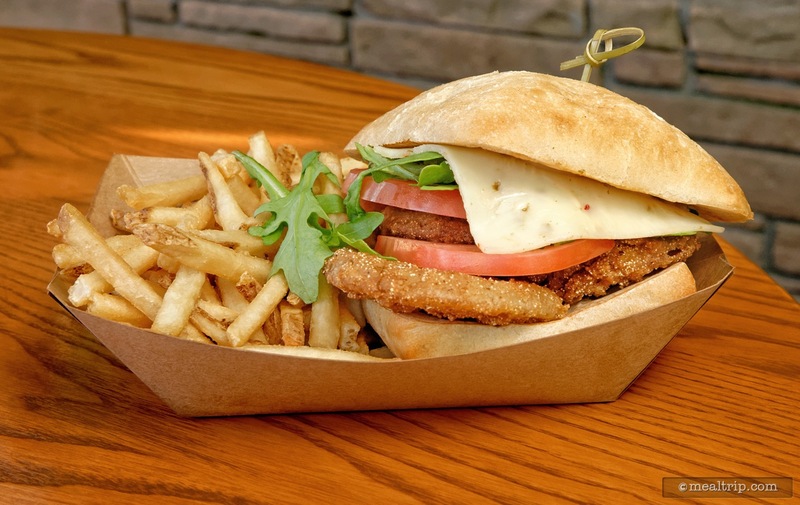 The Rosie's All-American Café listing currently has a score of 54 out of 100. Click here to read all of the reviews for this location, or log in to Mealtrip.com to add your own review for Rosie's All-American Café. 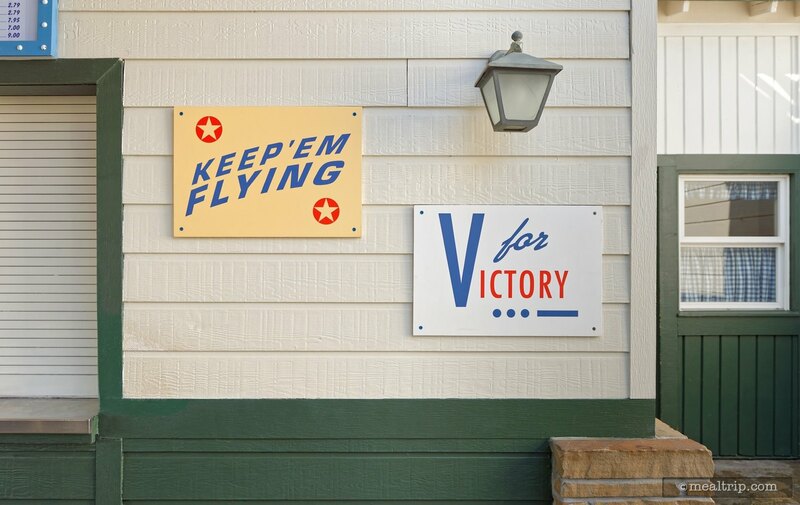 The sign high above Rosie's All American Cafe. 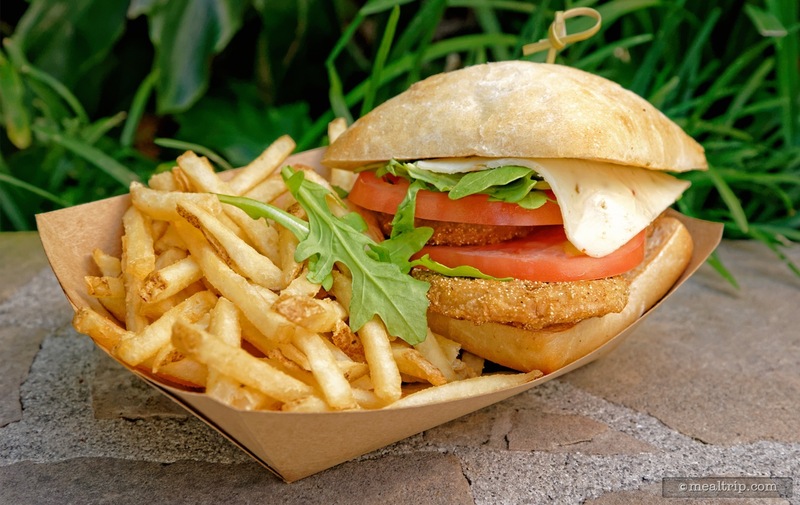 The Fried Green Tomato Sandwich at Rosie's All-American Cafe is served on Ciabatta bread with a couple pieces of Arugula, a slice of Pepper Jack cheese and a small amount of spicy Jalapeno Ranch dressing/spread. There are an equal number of non-fried, red tomatoes on there as well. Way far off in the back of this photo, you can see the order and pickup window for Rosie's All-American Café. 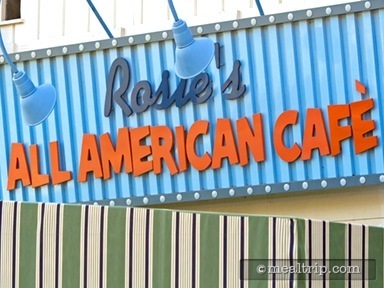 A closer look at Rosie's All-American Café. 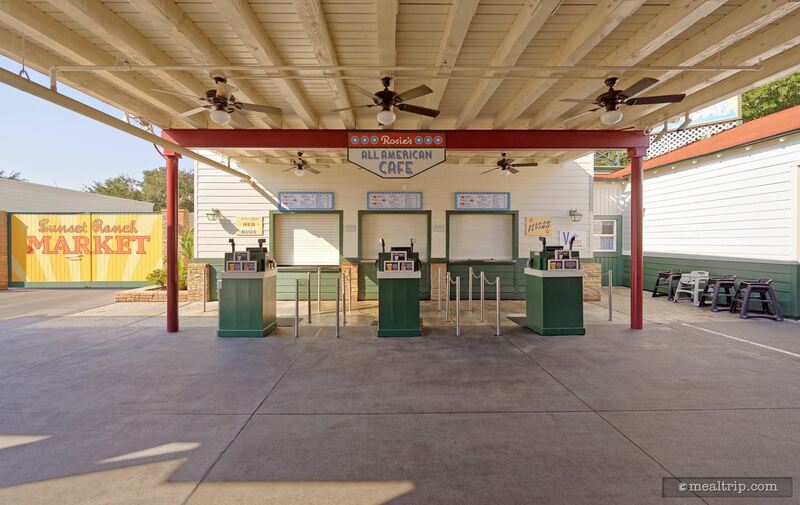 Just to the right of Rosie's food ordering window, there's a few signs (pictured here) and a faux Victory Garden which fits in perfectly with the theme of the area. 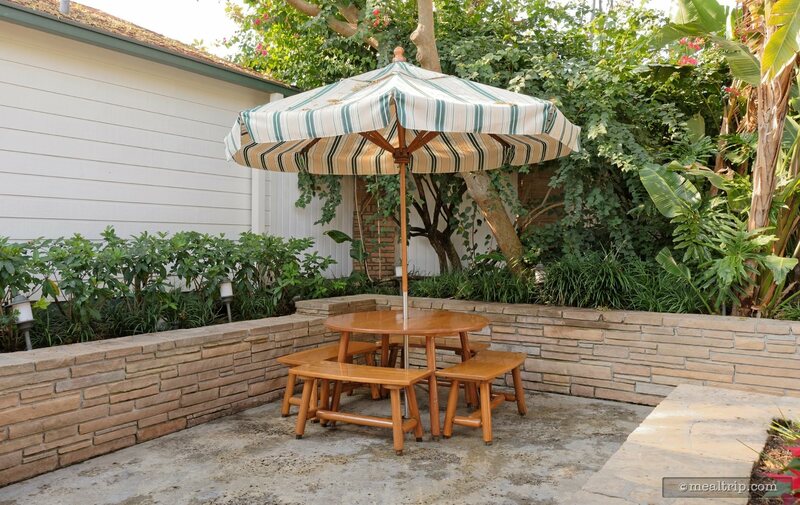 Seating at Rosie's is usually not an issue. 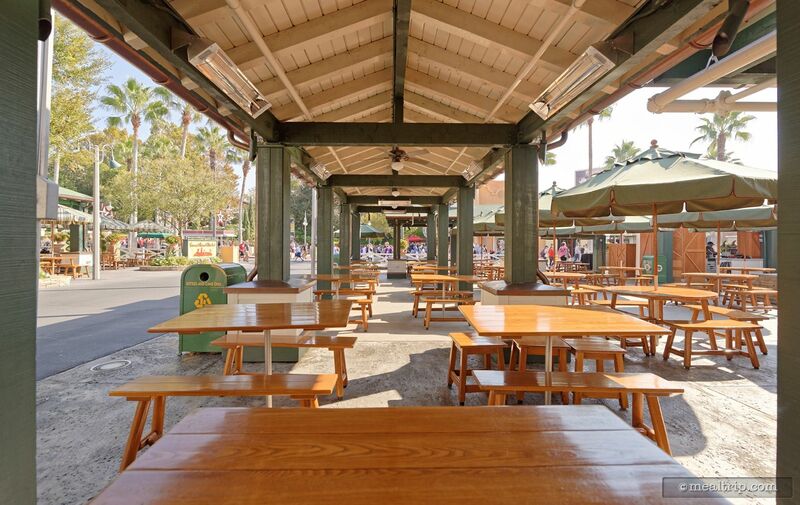 The "Sunset Ranch Market" (food court) seating area is very large, and those dining at Rosie's can sit anywhere in this area. 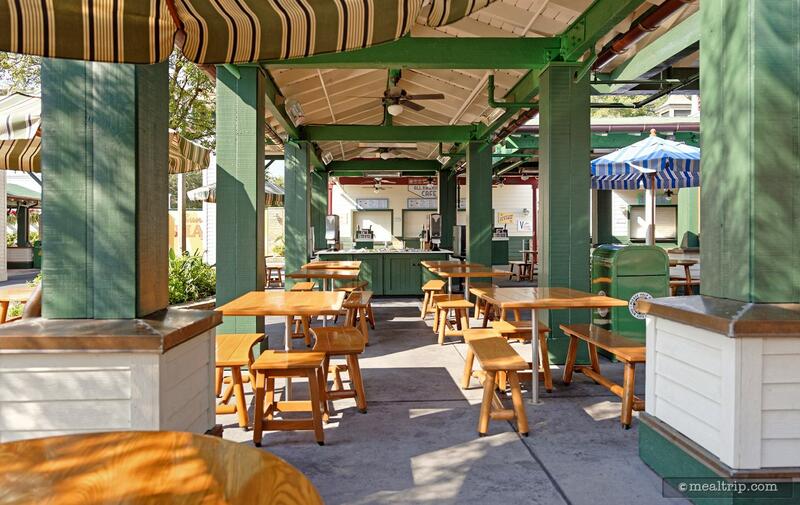 There are a few umbrella-only covered tables but most of the seating at Rosie's Café (and the surrounding "Sunset Ranch Market") is fully covered by a metal roof structure. 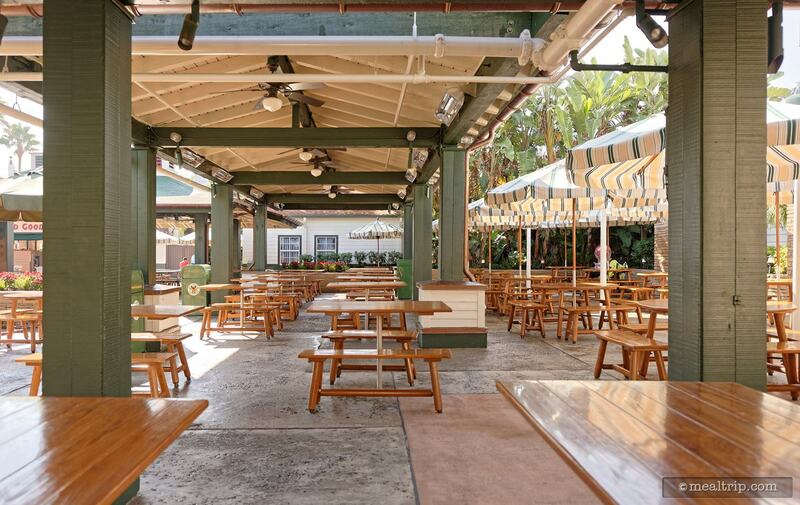 This is about the farthest away you can sit from the food ordering and pick-up windows at Rosie's.